The PTI has emerged successful with the majority seats in the National Assembly. Yet it is not in a position to form a government on its own. The situation will be tougher for the party as it is set to give up seven of its seats. 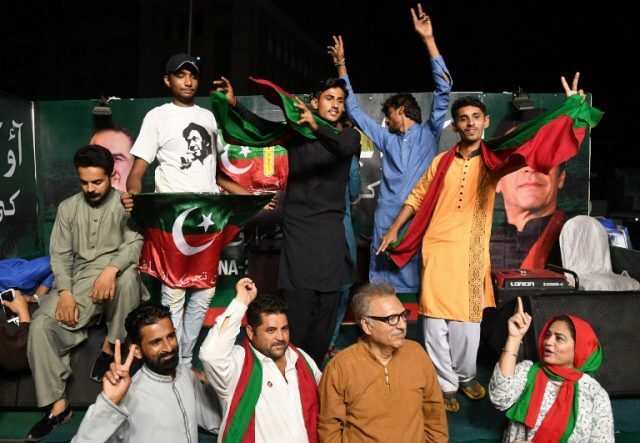 PTI chief Imran Khan contested the election on five National Assembly seats: Bannu’s NA-35, Islamabad’s NA-53, Mianwali’s NA-95, Lahore’s NA-131 and Karachi’s NA-243. He won the election on all five seats. Now, he will have to select the one seat that he will retain and let go of the remaining four. By-elections will be held on the four seats that he will give up. The party will lose the seats if it can’t secure victory in the by-elections. Similarly, former Khyber-Pakhtunkhwa CM Pervez Khattak contested the election on one National Assembly seat as well as two provincial assembly seats. He won the election on all three seats. Like Khan, he will have to choose one seat that he will retain and give up the other two. The PTI can retain this one National Assembly seat if Khattak gives up the two provincial seats. Another PTI leader, Chaudhry Sarwar, contested and won the election from Rawalpindi’s NA-59 and NA-63. He will also give up one seat. Major (retd) Tahir Sadiq, another PTI leader, will have to choose between the two Attock seats he has won on – NA-55 and NA-56. In short, Khan will give up four seats, Khattak will give up two and Sarwar and Sadiq will each give up one seat.